Throughout the year you will have many opportunities to teach in our K-12 grades and family-oriented public programs. The practicum is built on three blocks of time that are each 5-8 weeks long. A few one-to-three day special events are also held throughout the year. Although the majority of our groups are K-7th grade, we try to give graduate students a wide teaching experience through possible teaching opportunities with high school groups, college groups, adults and families. There are no formal classes during the practicum time as we want students to be able to focus on their teaching experience. There are practicum seminars to discuss teaching issues and process the experience. 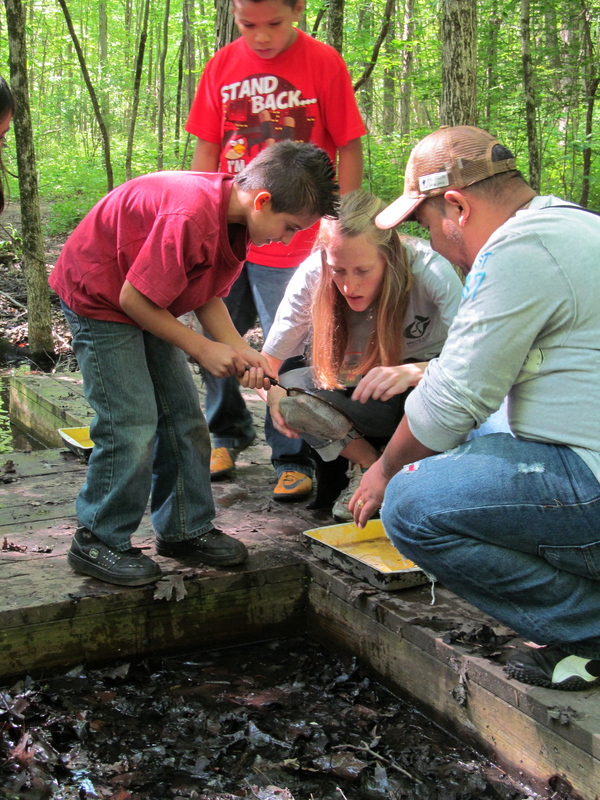 Practical application in environmental education is a foundation of this graduate program. Merry Lea has a 25-year history of offering quality environmental education for students from the region. Seven thousand students participate annually in a wide variety of environmental education programs including, but not limited to, a look at pre-1900 farming, the rock cycle, making maple syrup, and exploring nature and wetland ecology. We teach in dynamic weather conditions at several locations on the site. The Merry Lea staff are experienced environmental educators and many of our volunteers are retired teachers all of whom have had training. We model teaching strategies and coach students through the process. However the bulk of your learning is through experience. The master’s program is designed with the best practices in inquiry-based education. Our goal is that graduate students and students of all ages spend as much time outside as possible.